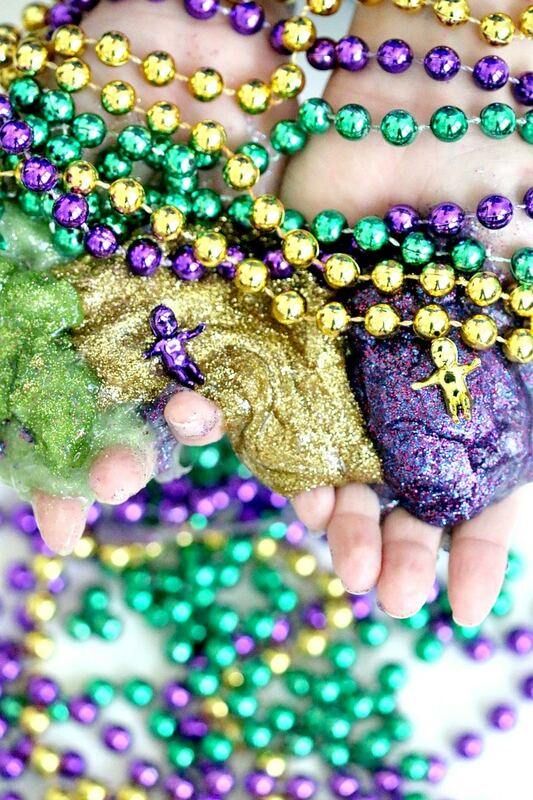 Y’all, Mardi Gras is EARLY this year, that means if you are doing any Mardi Gras crafts or getting ready for the parades and balls, the time is NOW to start your Mardi Gras crafting. And what super fun holiday it is too. 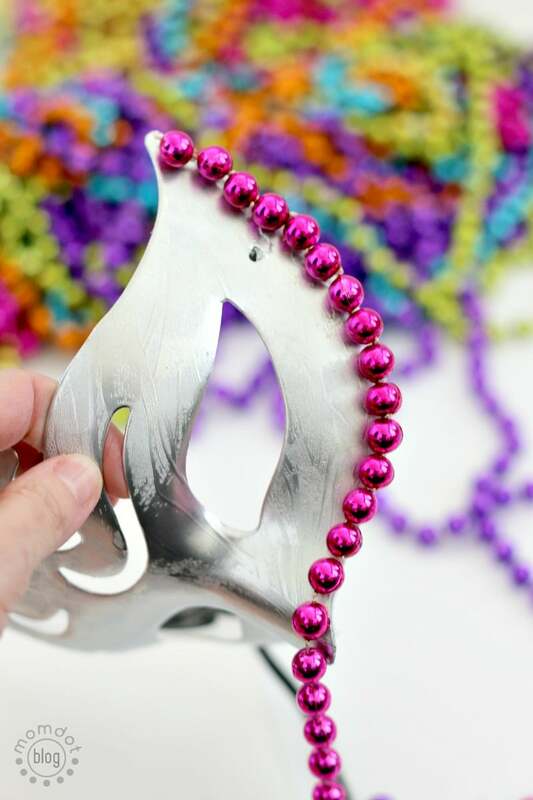 For those of you that don’t live in a “mardi gras celebration” area , that is the beauty of creating a craft. 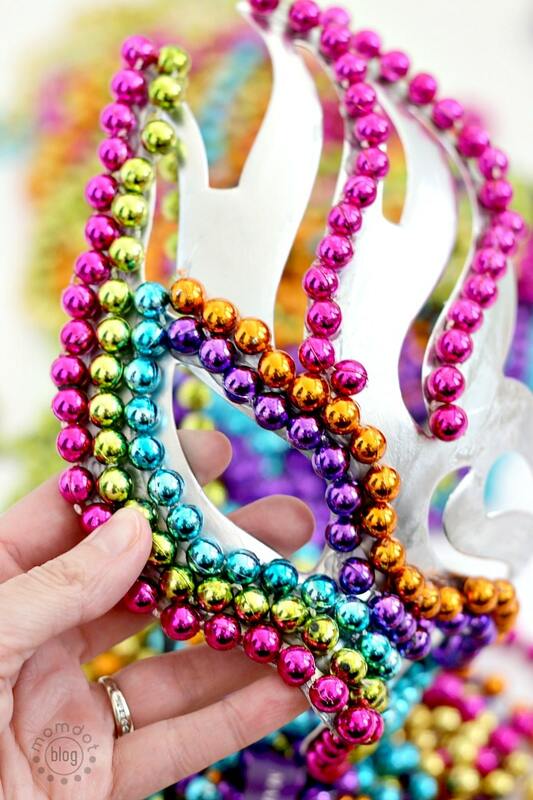 You can easily obtain beads at most local craft stores or order on amazon and then what will you have…tons of Mardi Gras crafting to do! Now every year I enjoy making a DIY mask with my kids. It’s such a fun craft that can easily be altered to fit the age of the child by drawing and cutting out on paper, adding bead cut outs to felt, or something more intricate like this mask below. 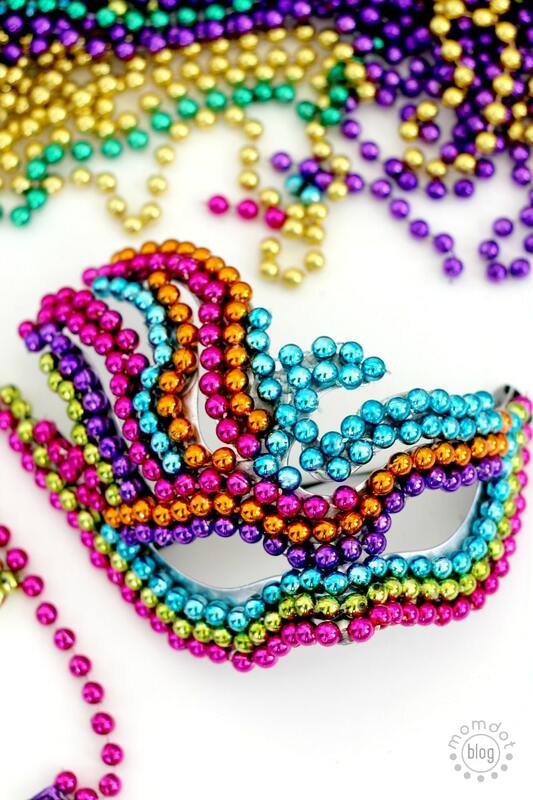 And while this DIY mask looks complicated, it took under 10 MINUTES and requires nothing more than a pre-manufactured plastic mask (which you can get at Hobby Lobby or online here), a pile of beads , and a hot glue gun . This is a totally fun project for a teenager sleep over or something to even do around coffee with friends! 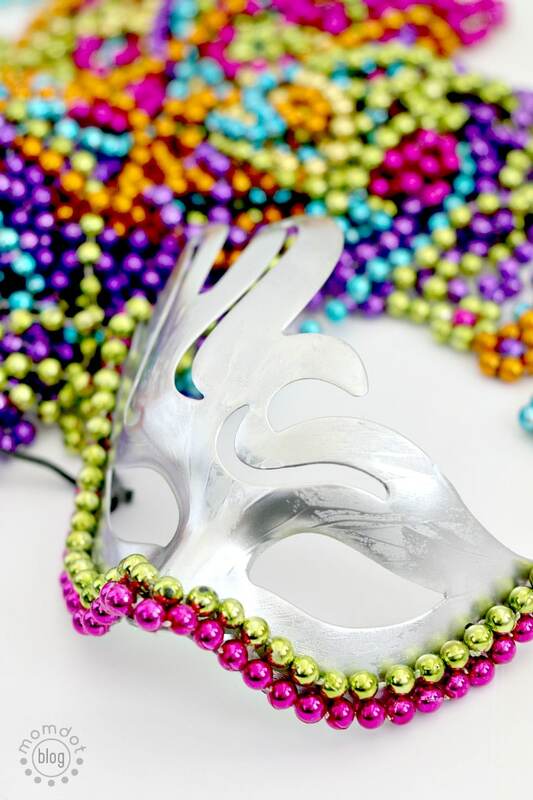 Around here use these mask at parades or at parties, but they work just as great for a girls night out or a birthday party as well. Simply warm up your glue gun and follow a line of glue around the plastic mask. Stick your beads as you go along, pushing together the space. 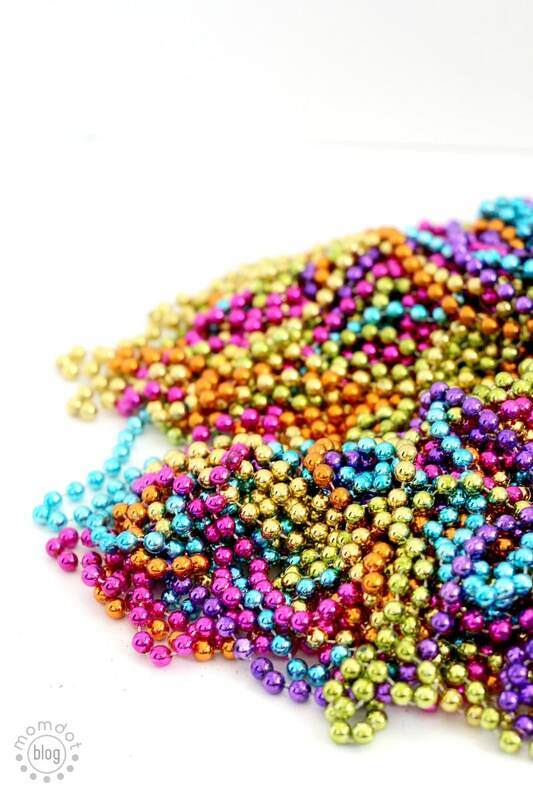 You can get creative with designs of if you want to be super creative and have time, cut all your beads into singles and put them on one by one~! Note: I spray painted my mask silver first! 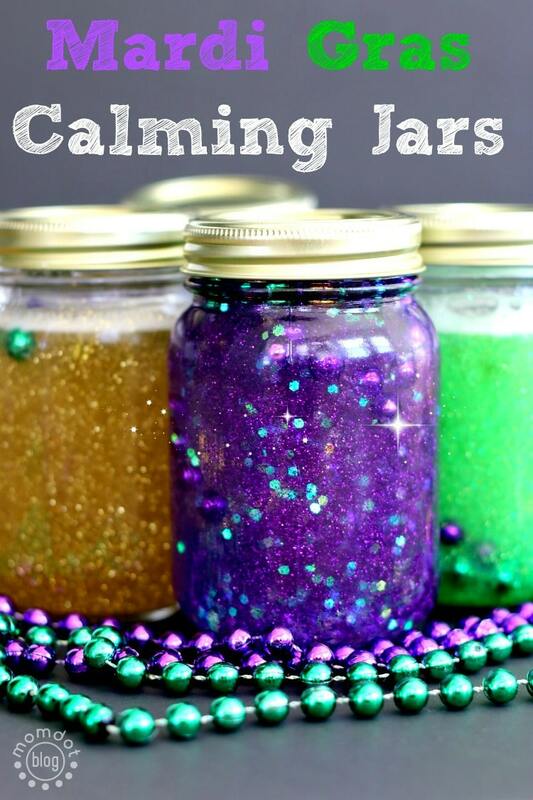 Love Mardi Gras Crafts? I do! 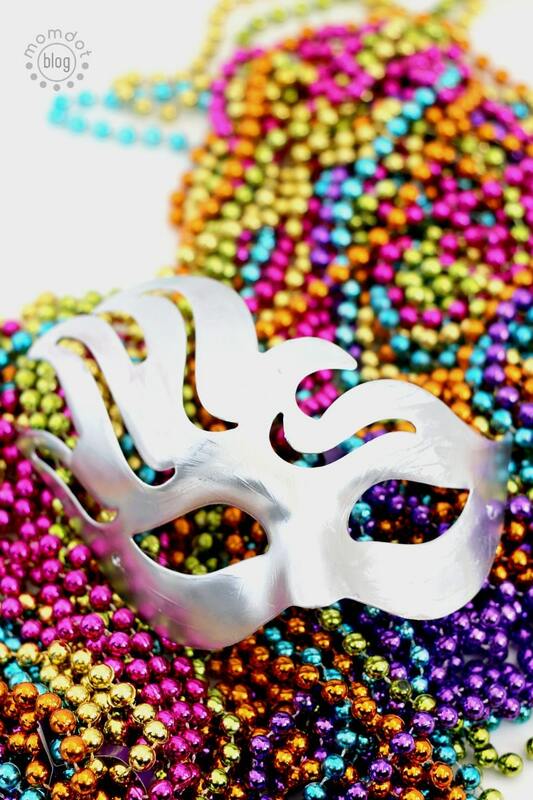 Or follow along my Mardi Gras PINTEREST board by clicking here.